By working closely with educators and keeping group sizes small, we are able to create truly meaningful connections with curriculum and provide a space for experiential learning in the Museum. We can accommodate a maximum of 20 children in the galleries at a time, and emphasize collaborating with educators on individualized experiences for their classes. 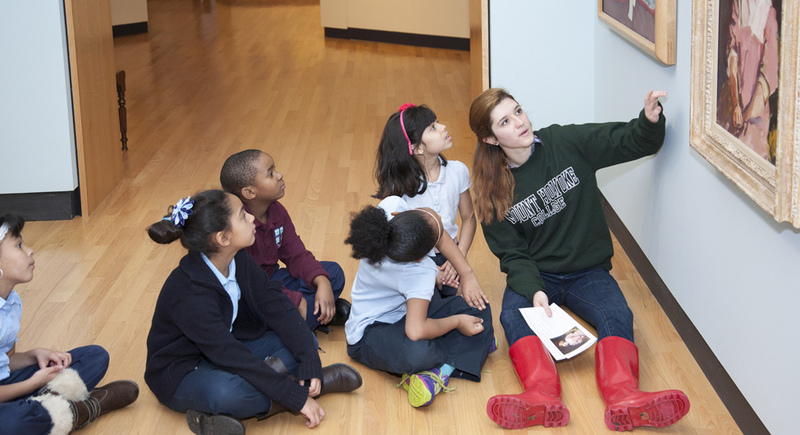 A limited number of class visit opportunities are scheduled on a first-come, first-served basis. There is no charge for programs, though donations are welcome. Please see our Museum Visit Guidelines and Chaperone Guidelines. Big Yellow School Bus, a grant program from the Massachusetts Cultural Council, helps schools meet the transportation costs of educational field trips for their students to cultural institutions.